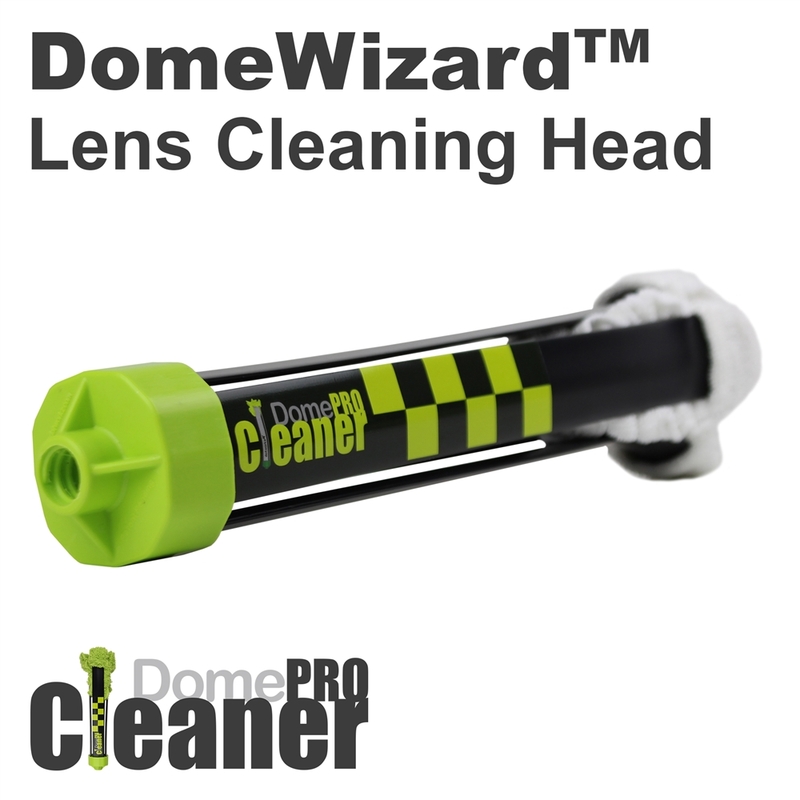 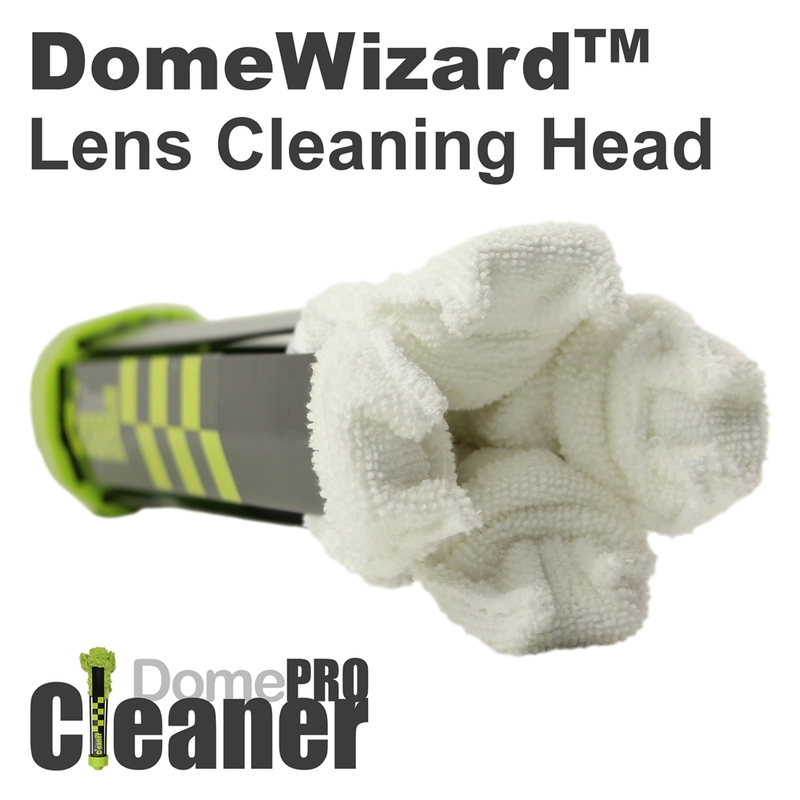 Dotworkz is proud to present its new patent pending product to help maintain and clean your lower dome lens from ground level. 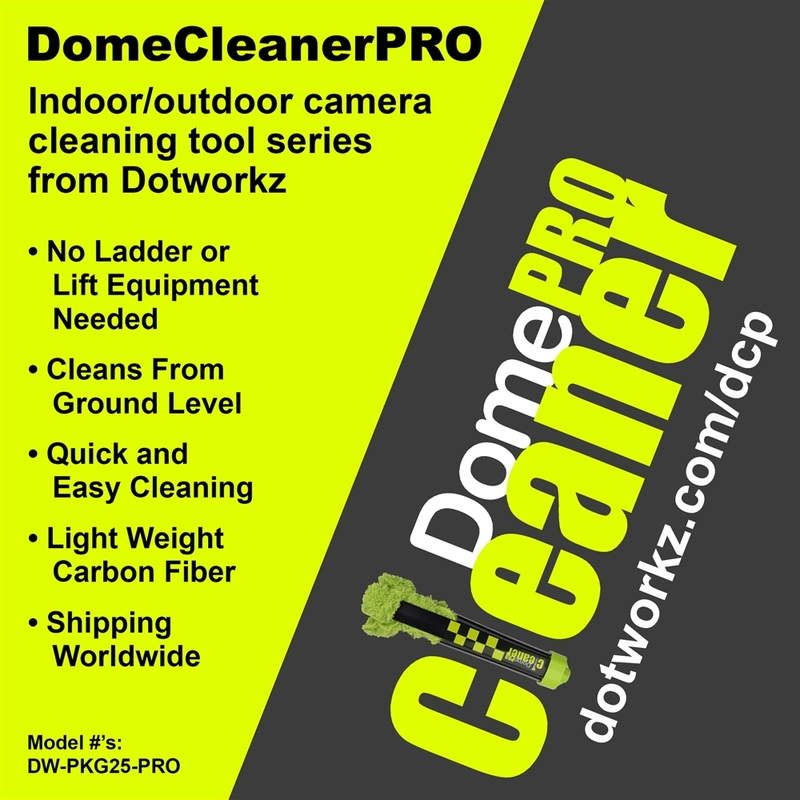 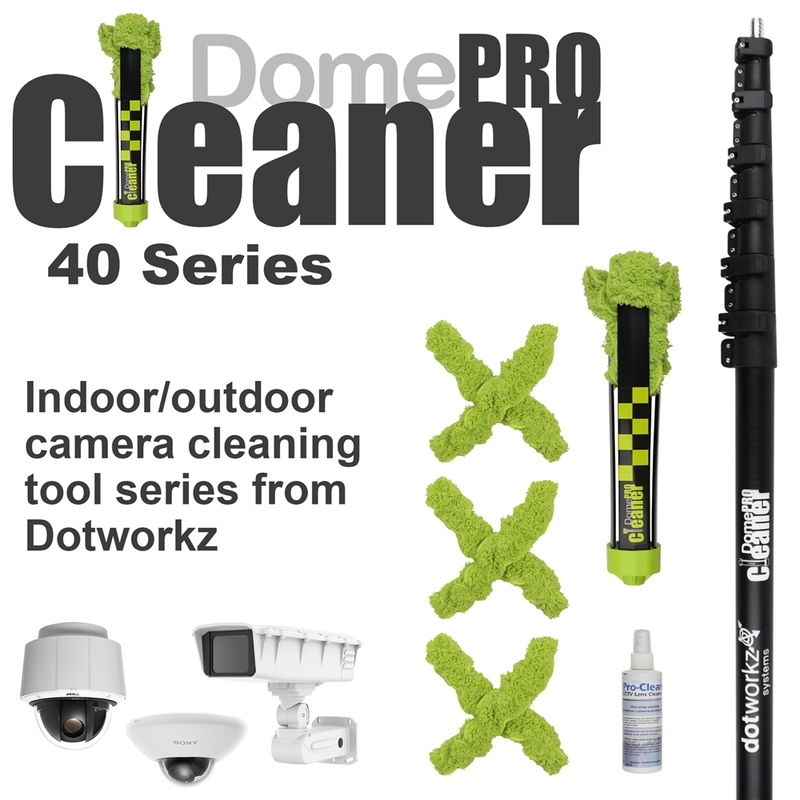 With its innovative design, the Dotworkz DomeCleaner™ helps keep your security camera dome lens streak and scratch free, being the perfect solution for maintenance of your security and surveillance video equipment. 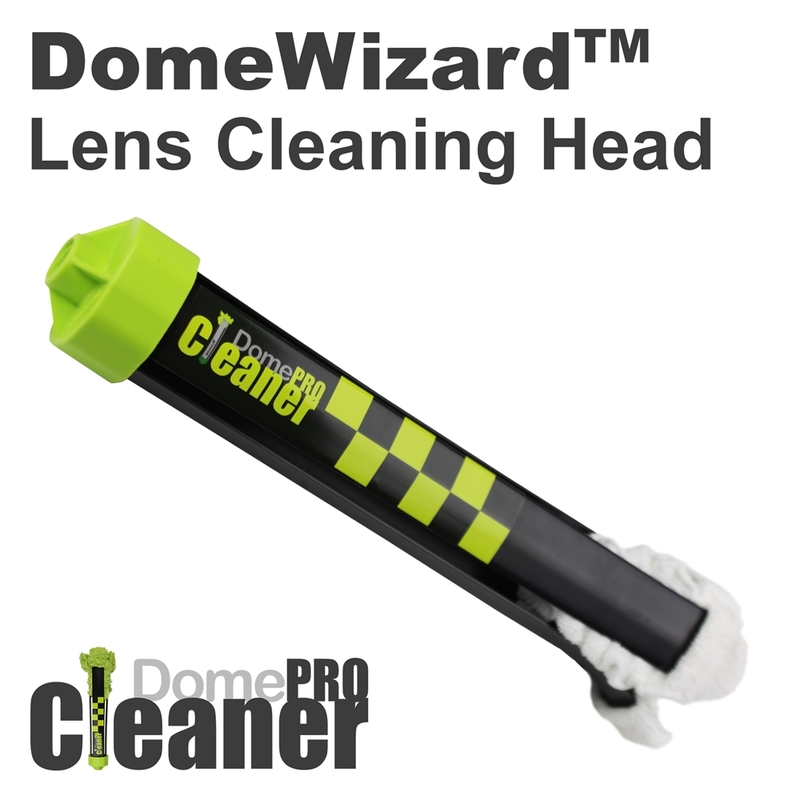 Works great with static camera housings too! 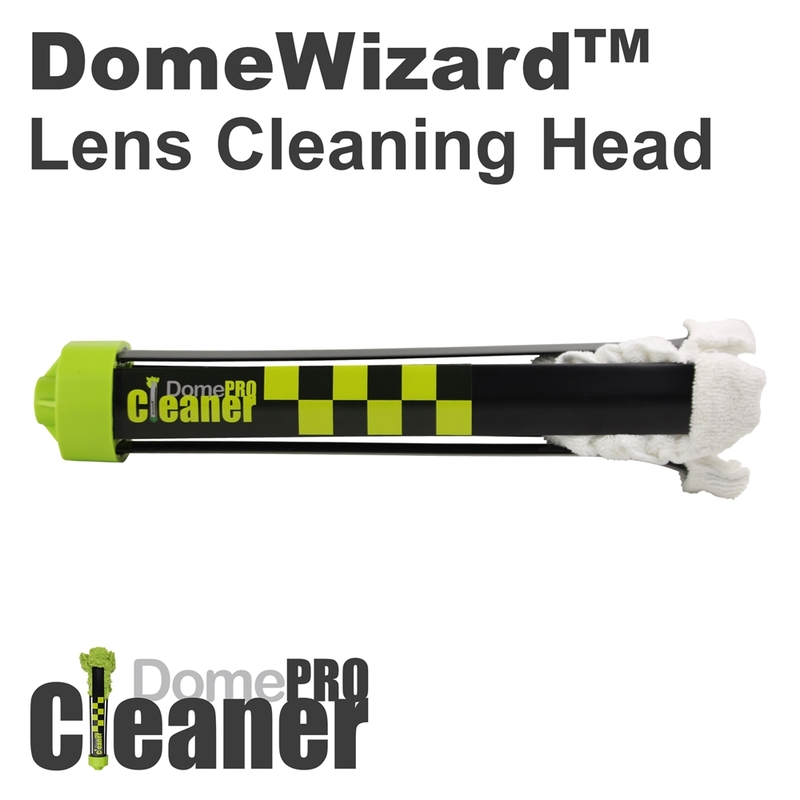 Product base price is for cleaning head device with washable mitt. 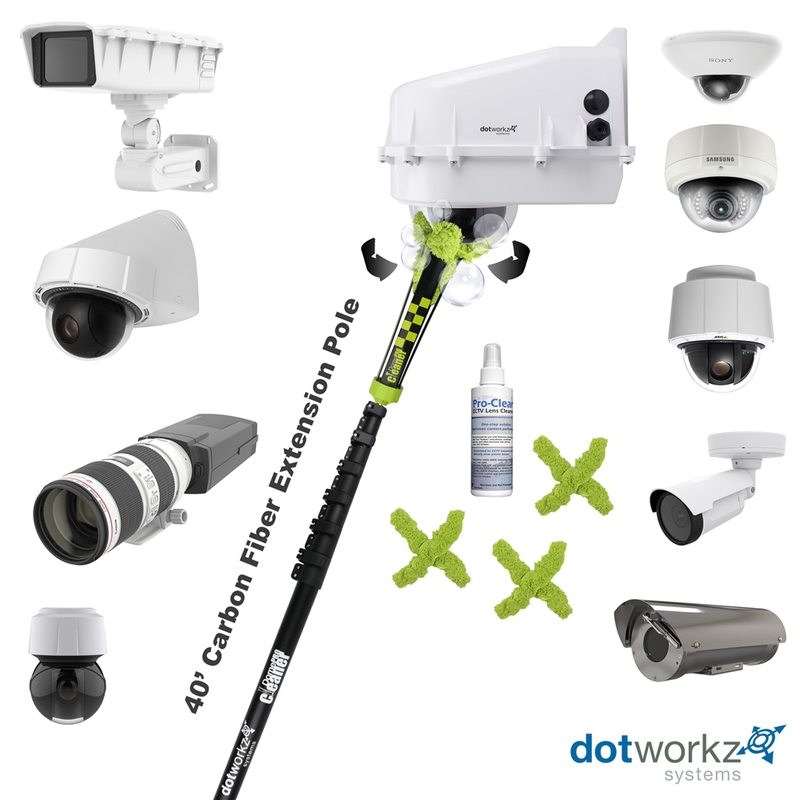 A professional grade extension pole and Dotworkz approved cleaning solution are also available separately.